Bob McAdoo sought and won early eligibility in the 1972 NBA draft. 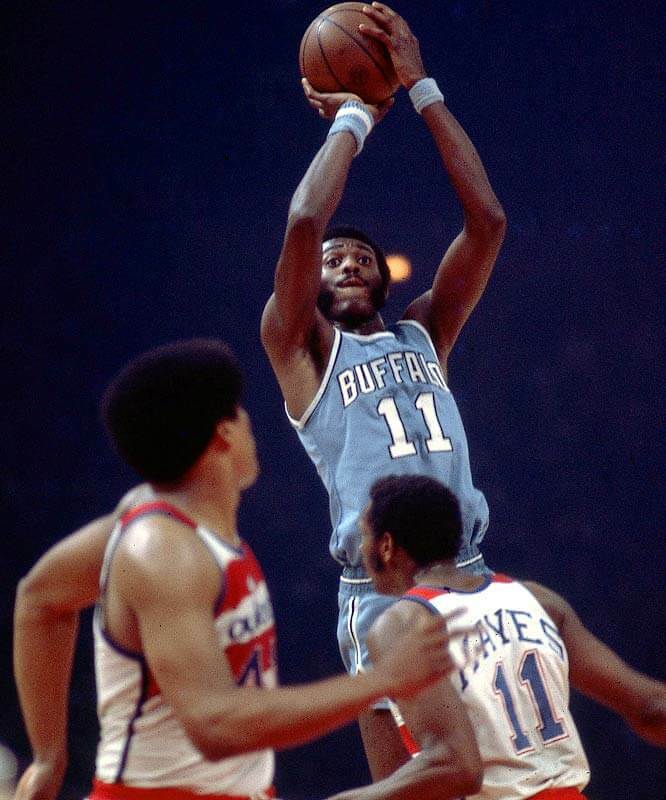 He was selected in the first round (second overall) by the Buffalo Braves (now the Los Angeles Clippers). McAdoo quickly became one of the NBA’s premier players. He won the 1973 NBA Rookie of the Year Award and was named to the NBA All-Rookie First Team. He earned the first of three consecutive NBA scoring titles in only his second season. His second season (1973 – 1974) remains the last time an NBA player has averaged both 30.0 points and 15.0 rebounds per game. McAdoo also led the NBA in field goal percentage in 1973 – 1974, shooting 54.7 percent. That year he enjoyed his first of five All-Star selections. In 1974 – 1975, he was awarded the NBA Most Valuable Player Award, averaging 34.5 points, 14.1 rebounds and 2.12 blocks per game, while shooting 51.2 percent from the field and 80.5 percent from the free throw line.